Northsyde is fronted by vocalist Lorna Fothergill, who is also the main lyricist and songwriter. With a dynamic and powerful vocal style, she has been described as "Robert Plant meets Aretha, with a hint of Janis Joplin". Playing guitar is her husband, Jules Fothergill who met as band members of Roadhouse, adding Ian Mauricio and Hayden Doyle to form Northsyde. Ian's unusual bass style and Hayden's forceful grooves combine to give the band a sound quite unlike any of their contemporaries on the Blues and Rock circuit. 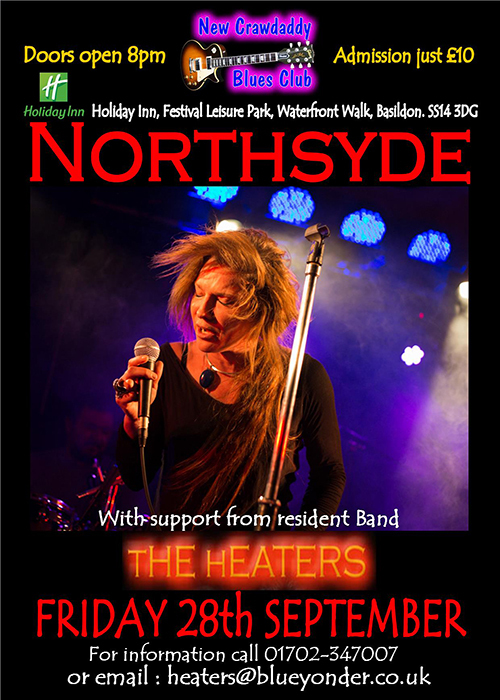 Northsyde have grown into a well oiled music machine, capable of entertaining even the most discerning audiences, whether headlining UK Music festivals, or playing smaller support slots, supporting Joe Bonamassa, to playing many festivals in Europe.